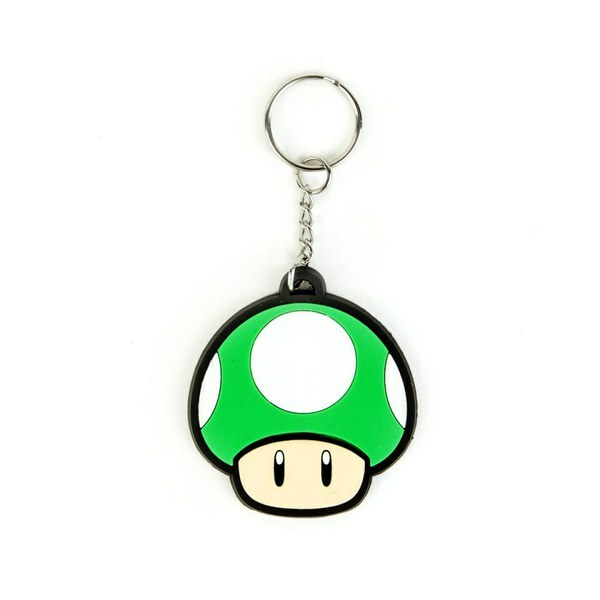 This rubber keychain features the 1-UP Mushroom from Super Mario. Soft, durable and flexible, this is the ideal accessory for fans of Super Mario. I bought it because I had to get my order over £20 to get FREE delivery. And I thought it was a small charm for the small price it said but when I received the product, it was a lot bigger than I expected. Arrived promptly and looks great! The quality is good and my son will love it!